In a shot taken at the Charelston, SC Cigar Factory, the bride laughs as she is dancing with her new husband during the lively reception. The The Cigar Factor in Charleston, SC features historic wood columns, hardwood floors and original elements of the 1881 building. The walls are rustic brick and have floor-to-ceiling windows that show a view of the Arthur Ravenel Jr. Bridge. This venue was perfect for this bride and groom, vintage feel with a since of homeyness for their reception. This picture really captured a unique moment between the bride and groom like none other. 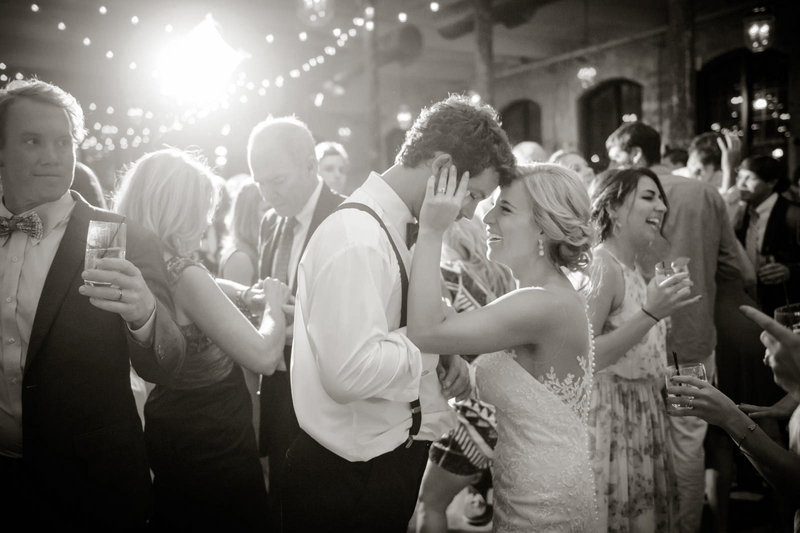 The bride and groom are in their own little world enjoying being newly weds, surrounded by friends and family. Her hand gently touching his face and laughing in their own moment together.